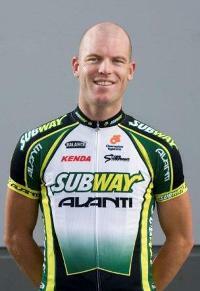 Former World Champion track cyclist, New Zealand and Subway–Avanti Pro Cycling team member Hayden Godfrey shares training tips and advice for teams training for the Harrex Group Corporate Pursuit and comments on talented Southland cyclists Tom Scully and Eddie Dawkins. Cycling can be viewed as an individual sport, but once involved it becomes obvious it is a team sport, both on the road and especially in an event like the Harrex Group Corporate Pursuit. The Harrex Group Corporate Pursuit is raced on bikes with one fixed gear and no brakes in the exciting Italian Pursuit format which involves two four person teams racing four laps of the 250 metre track with a team member pulling off after each lap, meaning only one team member does all four laps. Godfrey says the Italian Pursuit format is great for team work and bonding as you get to know your team mates strengths and weaknesses and it’s a very exciting format with two teams on the track at the same time. Good pedalling technique is also important. Our top elite track cyclists can use different gearing for different events, but those racing in the Harrex Group Corporate Pursuit all have the same set gearing, so having a good efficient pedal stroke is very important. Getting some training out on the road will add to performing on the track as he says you do need to build up some endurance fitness as well as having some explosive speed. While based in Christchurch Godfrey travels in Invercargill regularly to attend training sessions in the ILT Velodrome. He points out Tom Scully and Eddie Dawkins as two examples of young Southland riders with “loads of potential” that have already achieved significant results. Former World Champion Godfrey has his sights set on making the New Zealand Commonwealth Games team and leaves the country early next month to train and race in the United States and then in Belgium and France as part of his build up. For more on the Harrex Group Corporate Pursuit click here.